ZIMBABWE – Controversial pastor Patrick Philip Mugadza of the Remnant Church, who staged a peaceful protest recently against President Robert Mugabe, on Wednesday prayed for abducted political activist Itai Dzamara. 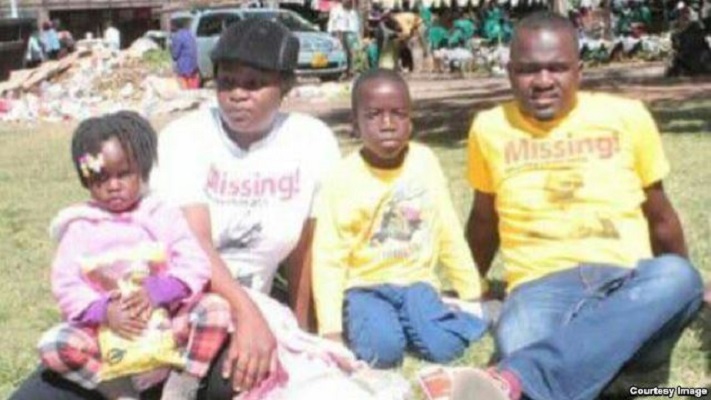 Mugadza said the Dzamara family needs prayers as they are struggling everyday to come to terms with the disappearance of the Occupy Africa Unity Square leader, whose group is calling for the stepping down of President Robert Mugabe for allegedly running Zimbabwe. Mugadza said Dzamara’s family will be blessed by God if they forgive those that allegedly abducted Itai Dzamara at a Barber Shop in Gen View 10 months ago. The High Court ordered Zimbabwean security agents to look for Dzamara and make some reports to relevant authorities about their progress in finding him. Occupy Africa Unity Square claims that Mr. Mugabe has almost ruined the country, which was once considered one of the fast developing nations in Africa soon after independence from British rule in 1980. The country is currently experiencing serious social, economic and political problems some people attribute to poor governance, an allegedly skewed land reform program and perennial droughts.